Nothing makes me more excited than finding out there is something in St Louis I'd never heard of. I haven't seen and done everything there is to see and do around town, but I've heard about most of it. Some weekends I just want to find something fresh, and Roadsideamerica.com delivered once again with the Newman Money Museum. 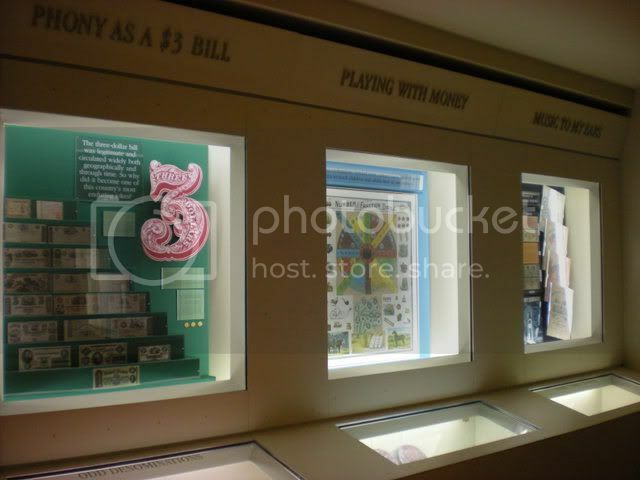 I was aware of the Mildred Lane Kemper Art Museum (worth a visit all by itself if you like modern art) on the campus of Washington University, but I had no idea there was this tiny museum devoted to the history of currency in the basement. We'll get to that. 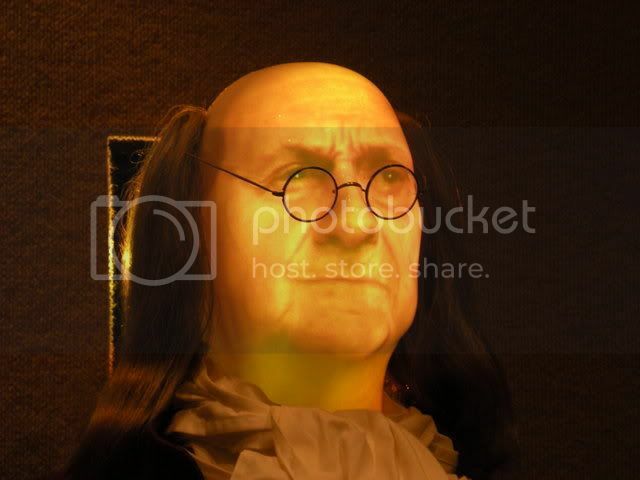 The real reason Keith and I went to this museum was to check out the not-technically-animatronic Ben Franklin. 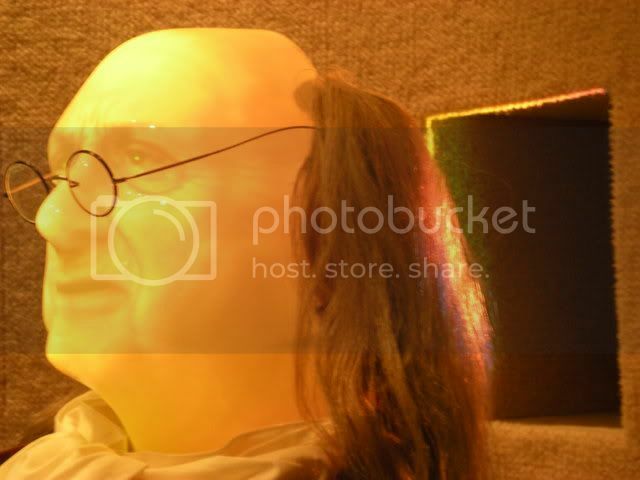 The reason his face looks funky in the above picture is because it is projected in 3D from behind! It's projected onto what looks like an unfinished Halloween mask and is called a SpokesMannequin. Other than the otherworldly glow, I gotta say, it's pretty impressive. Look at how it looks like his face changes shape, even though the shell it is projected onto doesn't move at all. 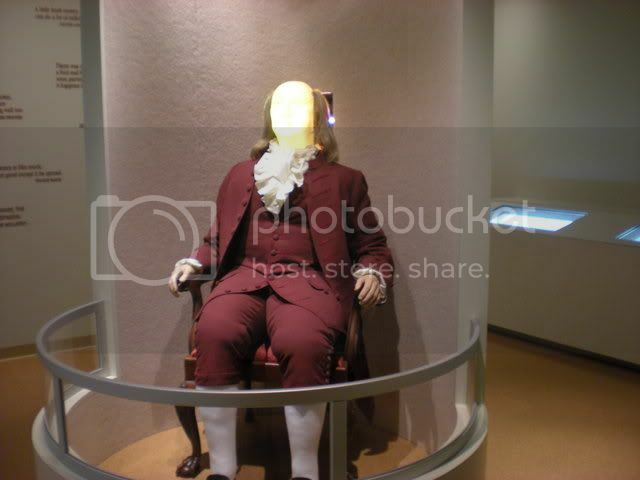 The SpokesMannequin is on a motion detector, so every time the museum door opens (infrequently, let me tell you) he starts up with his spiel... well, I guess he talks about his involvement in currency, but we were way too interested in how it worked to pay attention to what it was saying. 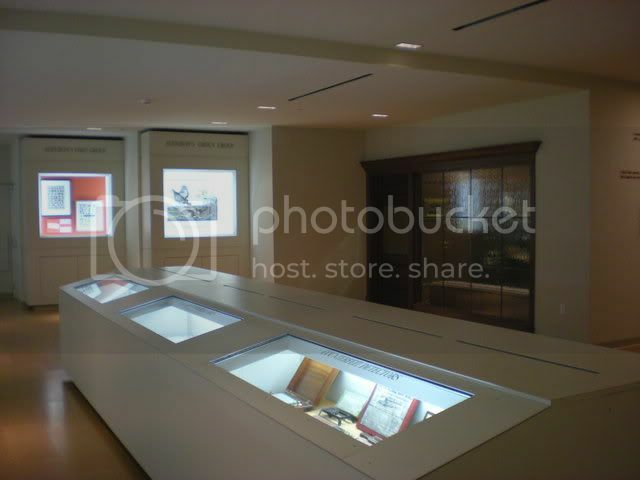 The museum itself is very small, but makes good use of the space. One thing I really liked is that the setup is such that, even with really thick Plexiglas between you and the money, you can get up close to look at details. Many of the pieces are even set under magnifiers for greater detail. We spent a lot of time with our noses an inch from the glass. 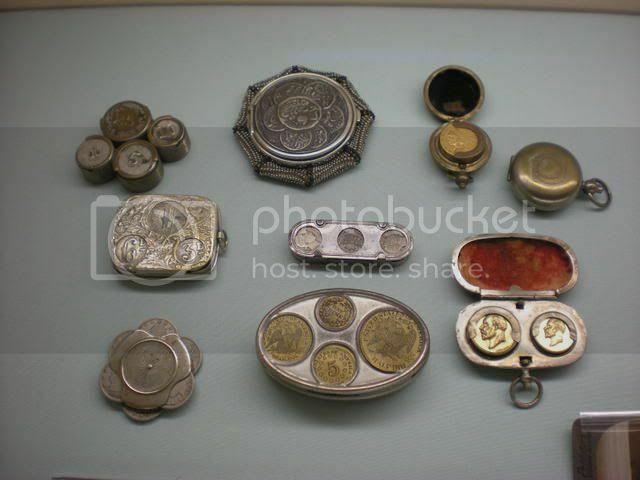 With all that Plexiglas it was hard to take pictures but I did manage to get these antique coin purses (above.) 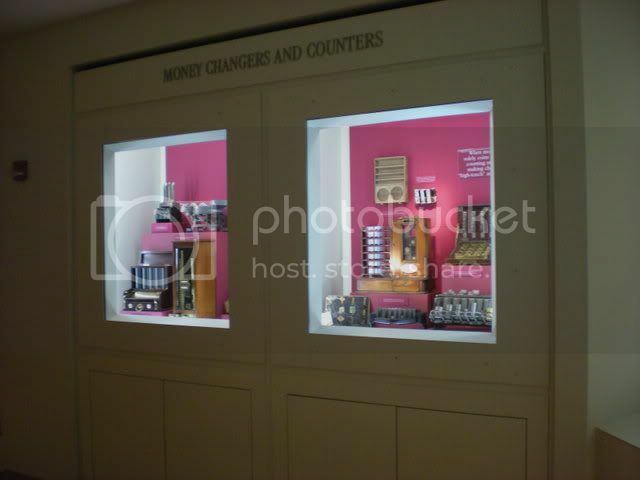 The money changers and counters (below) are also really cool, as are the cases about counterfeiting. You can find hours for the Mildred Lane Kemper Art Museum and Newman Money Museum on the website. Both are free!